The mid-January cold snap finds us in search of an indoor venue for a family day out and we alight on the Bath Postal Museum. This tiny gem, tucked beneath the city’s central Post Office, is packed with hands-on exhibits to nurture my daughter’s brand-new hobby: stamp-collecting. 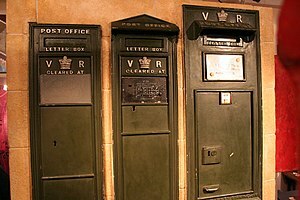 Living as we do in an old Post Office, we’re naturally interested in the history of the postal service, now at risk of redundancy in our modern internet age. Surely it’s only hope is the rise of online shopping. Though an ardent emailer, I still get excited when a “proper” letter arrives in the post, handwritten and bearing a decorative stamp – a miniature work of art in its tiny perforated frame. To me, every stamp album is an art gallery for The Borrowers. An international stamp collection smacks of adventure, each small square of paper having travelled from far and wide before finding a home in your album. 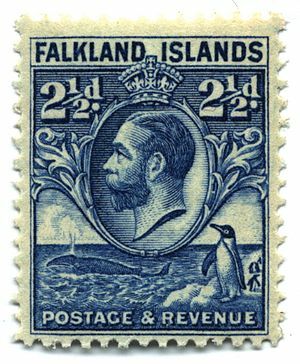 Image via WikipediaPhilately is a great geography lesson and politically I find it very pleasing that the least powerful countries often produce the most stunning stamps. The Postal Museum reveals that Laura is in good company. Celebrity stamp collectors have included King George V (his own profile must have featured on most of his collection, in those heady days of the British Empire), Franklin D Roosevelt, and, to our complete astonishment, Freddie Mercury, lead singer of Queen. The man behind the museum shop’s counter proudly regales us with the highlights of his own collecting career, including buying a stamp for £20 that he later sold for £600. He offers Laura lots of advice before realising that the conversation has been rather one way. Then he gives her an opportunity to speak. “How long have you been collecting?” he asks. It’s a conversation killer, but I realise there is one redeeming feature: we ordered her stamp collecting kit online from Stanley Gibbons and it arrived, very fittingly, by post. This post was originally written for the February issue of Hawkesbury Parish News. Previous Post Watch the Birdie! With the wisdom of hindsight, just realised I could have put a photo of my house on there – I’ve got an old picture of it when it still had a postbox by the front door, with the postmistress of the day – c. 1950! Oh, well, I’ll dig that out for another time!